Universal Bossed Tapping Saddle - CASCADE PLC - The new home of Cascade Clamps UK Ltd, Suppliers and Manufacturers of pipe fittings to the water & gas industry. 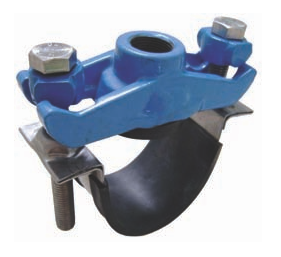 Cascade Universal Bossed Tapping Saddles, for creating connections in a water supply network. Available in sizes from 3/4" to 2" female threaded outlets. 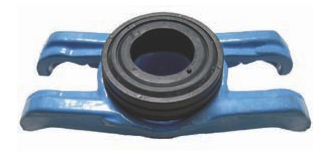 Constructed of a cast body with EPDM O-ring seal, and coated in a blue epoxy suitable for potable drinking water, the headwork and strap have a permissible working pressure of 16 bar. The Stainless Steel straps are lined with an EPDM gasket and stainless steel bolts an cast lugs lock the strap into the headwork. 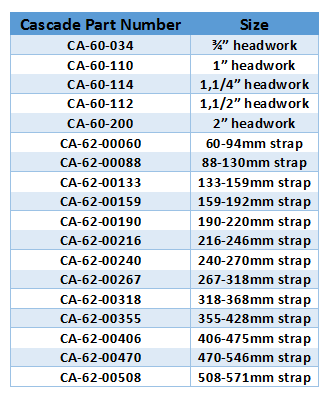 The straps are to cover diameters from 60mm to 571mm inclusive.